Since you’ve landed on this post, I’m guessing that you already want to implement a free email course on your blog. But do you know why you need one? Let’s be honest. Growing your email list can be challenging! Especially if you have no idea what you’re doing. And it could take months for you to hit that first 100 subscribers on your list! It took me 4 months to hit that 100 subscriber mark. And at that point, I had already paid $116 just for my email platform! That was more than $1 per subscriber! I knew that there had to be an easier way to grow your list. I mean, there had to be since my current strategy was just hoping for people to see the 1 opt-in at the bottom of my blog. Now I’m happy to say that my strategy is completely revamped. And my email list generates over 150 people a month right now. And I’m expecting that to grow to over 300 people per month joining my email list in just a few months. Well, there are a lot of intricate details about my email marking strategy. But an important one is my free email courses! Free email courses are a great way to get more subscribers on your email list! And the best part is that this is a set it and leave it strategy! Once you create the course following the steps I’m about to give you, the course will do all the work for you. And you can sit back and relax knowing that your email list is generating subscribers automatically! I have 2 free email courses and 1 free regular course on Teachable. I know what you’re thinking… that’s a lot of free stuff! Most blogs don’t offer that many free courses. At some point, they start to create paid products. But at the point that I’m at in my blog, I’m still growing my email list and my audience. And I want to get that to a certain number before I start to sell a paid product. Because I obviously want my paid products to be a success! And I’m willing to wait for that success to inevitably come. So yes… I offer 3 free courses. 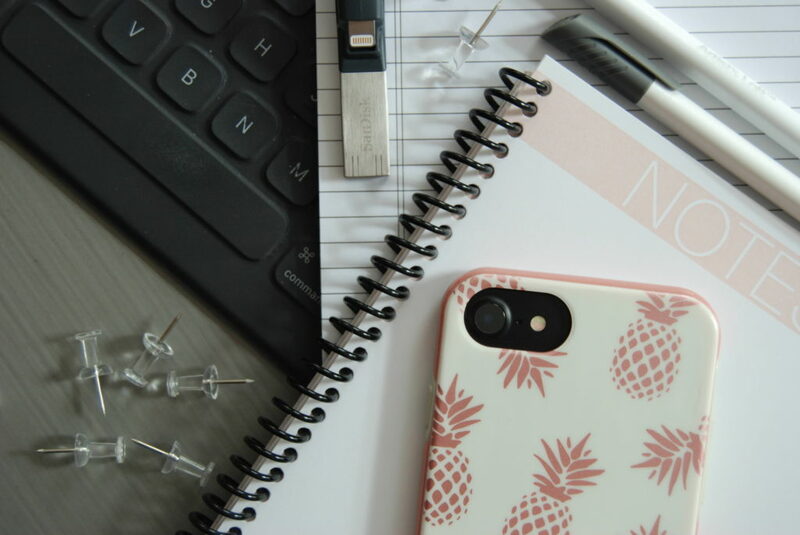 1 for social media, 1 for SEO, and 1 about how to start a blog! These are the 3 main areas that I talk about on my blog. And I want to help my audience as much as possible. So free information it is! 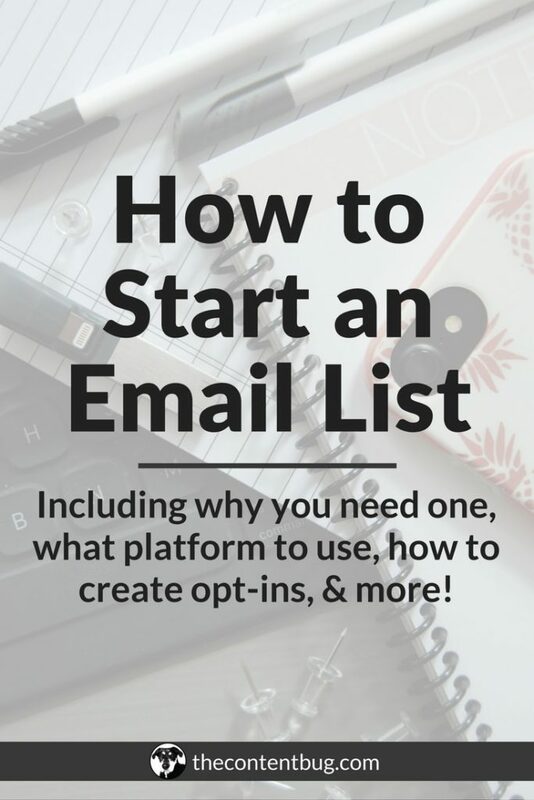 I’ve talked about what email platform you should use in my post about how to start an email list. But I’m gonna drop even more knowledge on your right here and now. The email platform I will recommend above everything else is ConvertKit. I use this platform for my email list. And I am OBSESSED with them! The main reason is that there aren’t any up-charges for features! There is just a set rate that you have to pay based on the number of subscribers in your list. And with 0 subscribers, you get access to automotive tags, sequences, automations, custom forms, and then some! It’s awesome! And I honestly believe that it’s the best platform for any blogger who wants to take their email list seriously. I started using this platform when I had 1 subscriber… I was my only subscriber. And since then I’ve grown my email list and I plan to stick with them as I continue to grow even larger! So yeah. ConvertKit is the whole package. And if you are looking for an email provider, this is worth the $29 a month to get started! Now it’s time to get to the good stuff. It sure did take us a while to get here, right?! 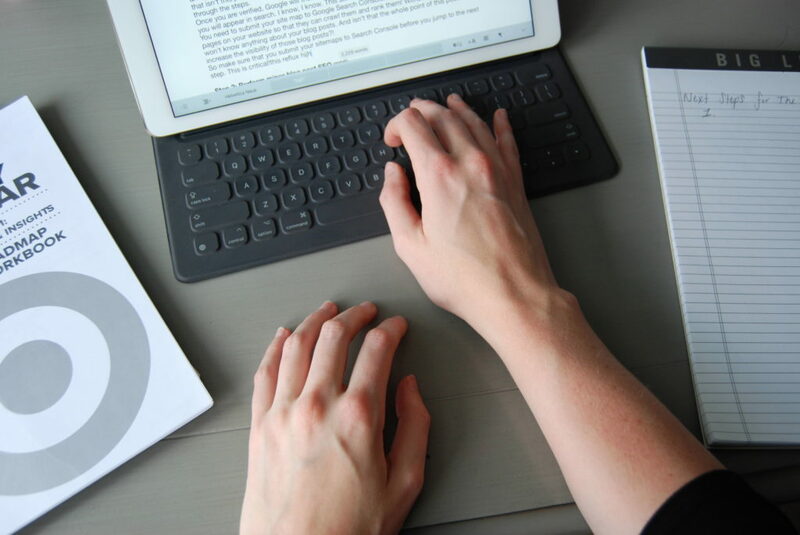 Keep reading if you are ready to create a successful email course for your readers! It doesn’t have to be boring. And it sure as heck shouldn’t be hard to do. When you are first coming up with topic ideas, you should have a pen and paper ready. Then put yourself in a space that makes you feel creative. That could mean sitting on the floor with a candle lit and crystals surrounding you. Or it could mean that you pack up your things and head to a coffee shop to think! Whatever it is, don’t sit in your same old same old spot that is dragging the life out of you! 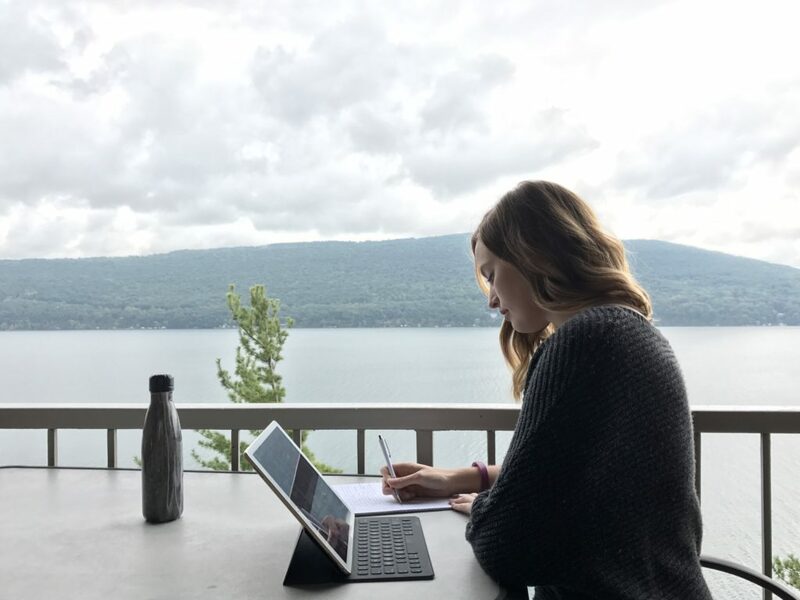 Move to somewhere inspirational and get your creative juices flowing! Trust me… they will begin to flow. And as they do, make sure that you write down all the ideas that pop into your head. The good, the bad, and even the weird! You never know what gold is lying underneath. But more importantly, this is a no judgment zone! So you aren’t allowed to judge your ideas at this stage in the game. We’ll save that for the next step. Validate the need for each topic & decide on a winner! So now that you have all your ideas written down, it’s time to see if any of them are good enough to make the cut. And to do that, you need to validate the need for each. 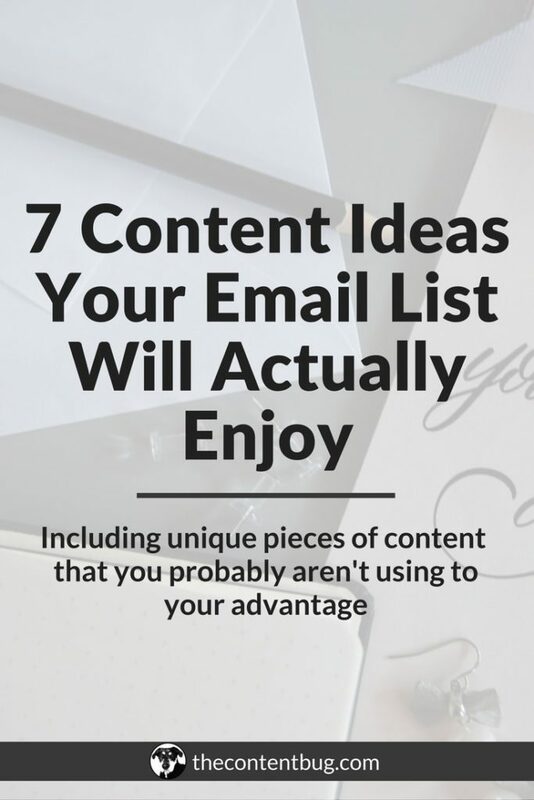 First, go through the list and see what ideas you could easily expand upon. What topics could you break out into 5 different lectures? Then think about your audience. Do any of these course ideas solve their most pressing problems?! Do any of these ideas help to solve questions you have received in the past? And most importantly, are any of these topics information that people really want to learn from you? At this point, you should have a narrowed down list. I’m guessing there are about 3 or so topics left. If you have more than 5, then you need to keep narrowing that list! NOTE: If you don’t have much of a following yet, this part might be difficult. But the next best thing is to actually ask your audience what topic they would like to learn more about! So turn to your Instagram stories, send an email to your list, or talk with your tribe on Facebook. And directly ask them what their problems are and if any of those topics they are interested in. The best way to validate your idea is to go straight to the source! So this step is critical! Once you feel like you’ve found the winner, do a little happy dance and keep moving. I’m trying my best to get the brainstorming out of the way early, so bear with me. The name of your course could make it or break it! So you need to really take the time to think about it. But with that said, don’t take more than an hour… then you’re just wasting time! Both of these include the most important keywords for each course: Social Media & SEO! This makes it straightforward about what each is going to cover without even having to read more. So determine the most important keyword that you would want to include! Then embellish it a little bit. You wouldn’t join a course that was called Social Media, would you? But since I named it Social Media Kickstarter, you can probably guess that this course is going to help you grow your social media. And all I did was add 1 word! So brainstorm some names. Write them all out. The good, the bad, and the weird again. And then narrow it down to the winner when you’re ready. Now it’s really time to get to work. But before you get started with actually writing the content for the course, you need to determine how long the course is going to be, how many emails you are going to send, and what you are going to talk about! If you don’t mind… I’m going to share what I believe to be the perfect length of an email course. 5 days of lecture. 6/7 emails total. It’s that simple. Both of my email courses are 5-day email courses. But really, anyone that signs up will receive 6 or 7 days of emails from me. That’s just the way it works! And here’s why. Obviously, there are 5 emails with the lectures of the course. But you also need to include an introduction to the course and tell people what they can expect! This can either go in the 1st lecture email or in an email of its own. Then the most important email of your email course is the last one that you send. 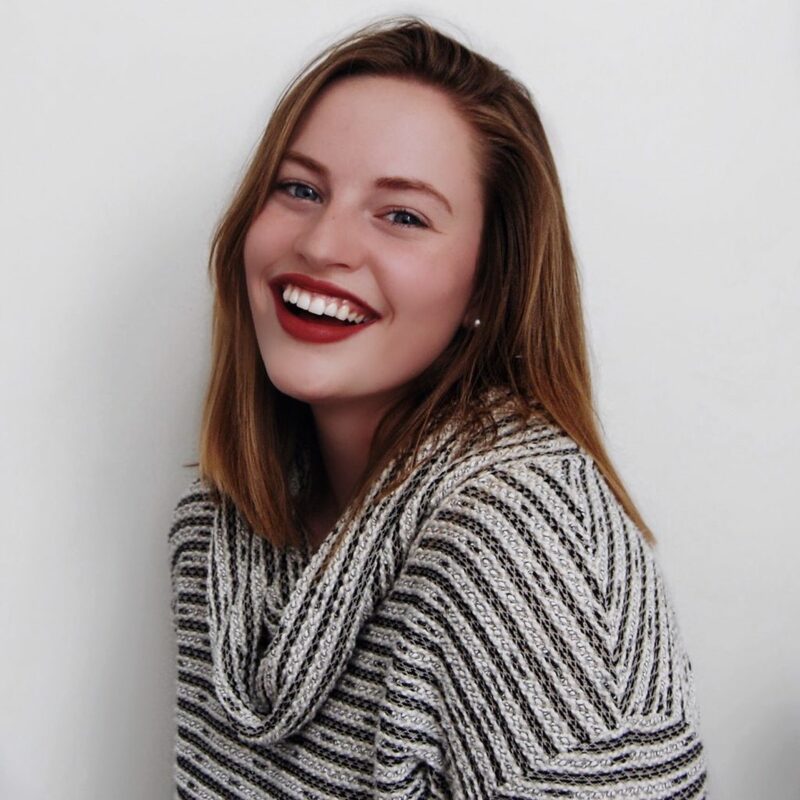 The one that turns that 1-time student into a long-term subscriber! This is where you get to transform your leads into conversions! And this is a step that you can’t miss. And with this layout, you send the perfect amount of emails. You aren’t sending too many emails that will annoy your subscribers to the point of unsubscribing. But you also aren’t sending too little that they will forget about you in 3 days. This is the sweet spot, my friend. Now you’re probably wondering what the heck to cover in those emails! Well, this is where your brain comes into play again. There is only so much I can do over here. You really need to be putting in the work alongside me! On a piece of paper, outline what you want to cover in each lecture. These should all be separate lessons! You don’t want to talk about the same exact thing for 5 days straight. Even though you may think that’s the point of a course… it’s not! You need to talk about 5 different topics within the topic of your course! You want to provide as much value as possible! And prove that you have what it takes to really make an impact on their life. If you make that impact, then they are more likely to become a long-term follower! So find a way to provide as much value as possible. And then provide that darn value in the next section! Time to get down to business and do the darn thing. Pull out your laptop, iPad or desktop computer and let’s get to work! It shouldn’t be that hard to actually write the content. You do know how to write, right? So I’m going to help you with other areas of your content that I know you’ll need help with! You may not have thought about this… but the layout of your email is important! Just like a blog post, you need to break it into sections and make it look interesting! This means holding text when needed, adding images, and including natural breaks with line separators. You also want to start each email with an intro. Tell the subscriber what is going to be covered in that lesson. Then get into the lesson. Make sure that you are customizing the emails to include the subscriber’s name. There is nothing more personal than their name thrown in there! And you can set that up easily with your email provider. 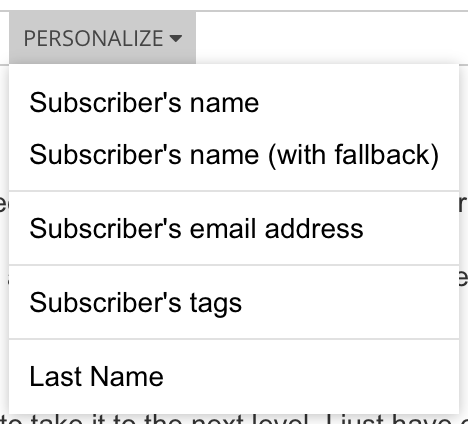 With ConvertKit, it’s as easy as clicking the PERSONALIZE option and selecting SUBSCRIBER’S NAME. You remembered that you’re making a course, right? With any good class comes homework. As much as you may have hated it in school, it’s important if you want to provide people with real results! At the bottom of each of my lectures, I include a TASK section. This is where I tell people what action they need to take to either improve their social media or their SEO (depending on the course, obviously). So at the end of each lecture, or at least most of them, try to provide the actions that the subscriber can take to set them up for success! Again, you want to provide as much value as possible. And you want to have your subscribers see real results! So help them out by forcing them to do the work. It may sound weird… but it’s necessary. Would you rather read something that’s all text or something that contains imagery? I would obviously want to read something that’s more visually appealing. Otherwise, I tend to skim right over the text and only read the bolded parts. And more people are like me than you would think! So we need to spice up those emails and make them as beautiful as possible! My first recommendation is to design an email header. This will spark people’s interest from the very beginning! Keep it simple and make it the title of the course. Or something related to the course at least. This will help to make the emails look cohesive. Next you’ll want to include other imagery that will help to support the course or make it more interesting. Sometimes, it doesn’t seem like any images would fit what you are talking about. And that’s when you have to get creative. You can include gifs, videos, or images that really relate to anything! So if you are talking about being happy that they completed a lecture, you can include a happy image. Or you can take it literally and include any image that supports what you are teaching! Now before you are ready to call it quits on writing your emails, you need to edit your content. And I have some tools to help you along the way. I don’t know where I’d be without Grammarly. I use them for EVERYTHING that I write on my computer! You can either use their platform or download the internet browser extension that will automatically edit everything you write online. I’m telling you, it’s a game changer! It catches more grammatical and spelling errors than I ever knew were there. So I recommend running all your content through this editing software before you send any emails! Another great tool to use is the Hemmingway App. This will tell if you there are simpler terms for you to use, if you are using past tense, if you can remove unnecessary words, and more. Basically… it simplifies your content. I try to make my writing sound like a 4th grader. It’s gonna sound silly. But that’s seriously the way that you have to do it. People want information and they want it fast. So you might as well make it easy for them to read. Did you think that you’d be finished after you wrote the content? Well, that’s just not the case! You still need to prep for launch! This shouldn’t come as a surprise. But you need to have a way for people to actually sign up for your course! So you’ll want to create an opt-in form with your email provider. You can go about it 1 or 2 ways. You could either create an opt-in form that you place right on your website with the fields for people to subscribe, or you could create a landing page! With a landing page, people are required to click on an enticing image that you include on your site. 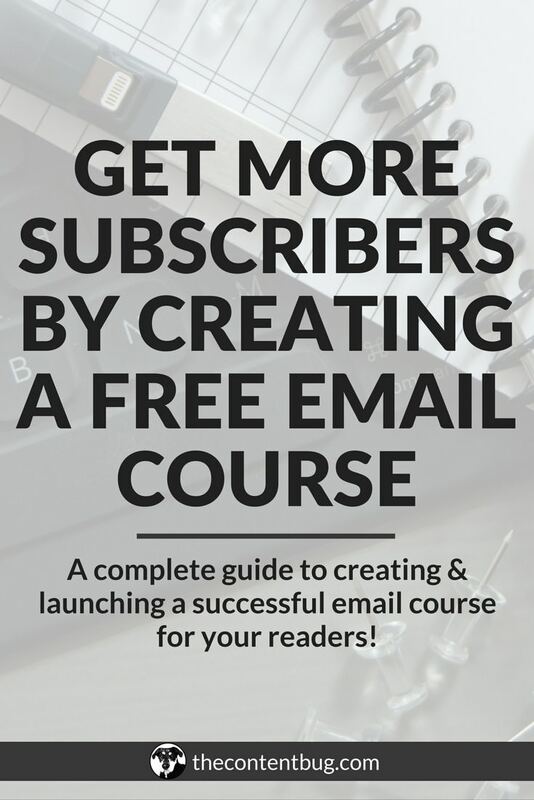 Once they click on that, then they can subscribe to your free email course. It’s said that people are less likely to sign up for an email list if they just see the opt-in field forms for your name and email. They are more likely to subscribe if they have to click on something and are then lead to the page to fill out their information! So I recommend creating a landing page for your opt-in. If you decided to listen to my advice and you went with the landing page opt-in, then you need to create an opt-in image that people will click on to get to that page! This is your chance to show people the value they will receive if they sign up for your course. So this is your time to really WOW them! I have a different opt-in image for each email course as well as other free downloads that are available throughout my site. And each of them is slightly different. But there are 2 important elements that I include. The first is telling people what they will receive from signing up. And the send is telling people to click on the image to get started! This should be obvious… but it’s not. So make sure you include that in your image. Depending on how serious you are about your email course, you may need to design other promotional material as well. That could mean a Twitter & Facebook image or a pin for Pinterest. It could also mean creating a button as an alternative opt-in option to the image you just created. This just depends on what you need! So create whatever you think necessary. This is the big one. And the one that most people overlook! But if you want to make this email course a set it and leave it strategy, then you need to prep automation and automatic tags. Within ConvertKit, you can set automatic tags to sort your email subscribers. So if you are a member of my email list, you better believe that I have your sorted based on what you are interested in. If you sign up for a social media download, you are tagged with INTEREST: Social Media and INTEREST: (whatever social media platform it is). So when people sign up for your email course, you need to sort them as members of this course as well as what they are interested in! This can be done by going to the AUTOMATIONS tag in ConvertKit and clicking on rules. Then add a rule that says when they sign up for your email course opt-in, they are not only subscribed to the appropriate sequence with the emails you’ve written, but they are also tagged appropriately. Plain and simple. Nothing to explain here. At this point, you are almost ready for launch. So you need to pick the date that you actually plan on launching the course. You need to get the word out about your course. And that’s not going to happen unless you hype it up a little bit! So one of the best things that you can do is write a blog post about your course. This is where you get to highlight on a problem that is solved in your course. Address the problem with the blog post, provide some advice (just a little, not too much) and then talk about how your course is the answer to their problems! And of course, include the appropriate opt-in 3 times throughout the post to really drive it home! This post should launch on the same day as your course! 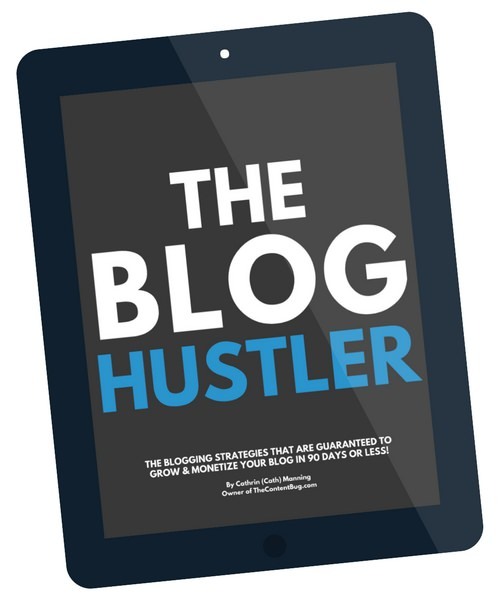 So you might want to launch your course on a date that aligns with your blogging schedule. It’s not enough to have only 1 opt-in on that corresponding blog post. You also need to place it on other pages throughout your site! The very first page you need to place is on is your home page! This should now be one of your main opt-ins for your email list! So if you are serious about providing people with real value (and getting more subscribers), then you need to place it on your front page! I recommend placing an opt-in somewhere near the top. So that could mean a top banner above the menu, an option in the menu, or even on your main header image! The choice is up to you! Just make sure that it’s available on your home page. Can I say that enough? 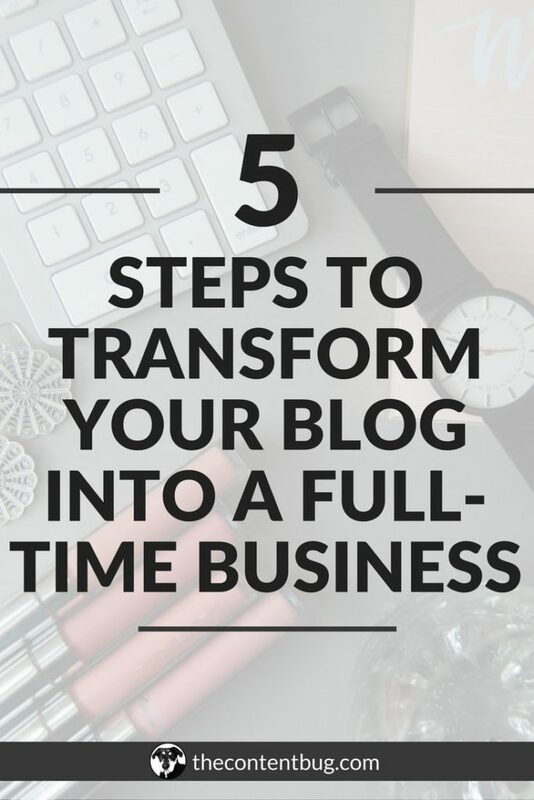 You also need to place your opt-ins on other relevant blog posts. So I place my social media email course on some social media related blog posts. And then I place my SEO course opt-in on my SEO related blog posts. Because I already know what people reading those blog posts are interested in. 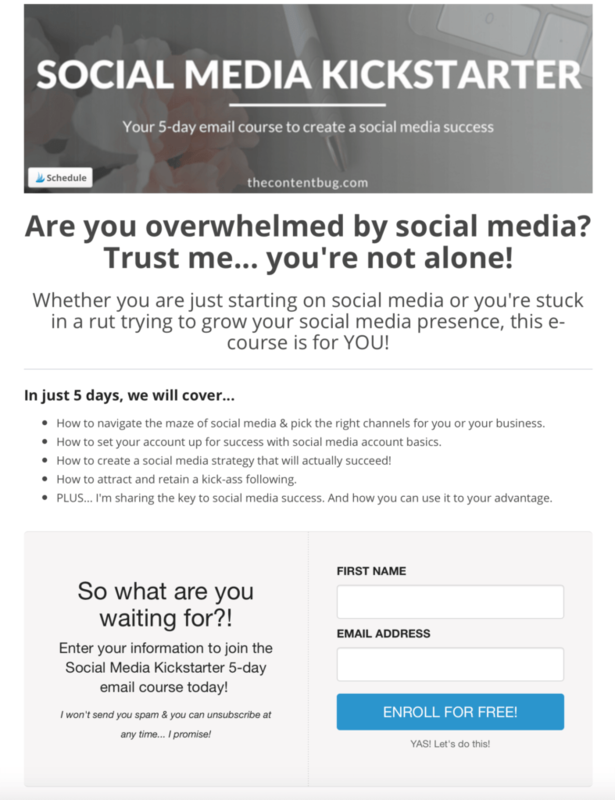 If they are interested in social media, then they will probably like my social media email course. So capitalize on your blog traffic and get them to sign up for your email course by placing opt-ins on the right blog posts! 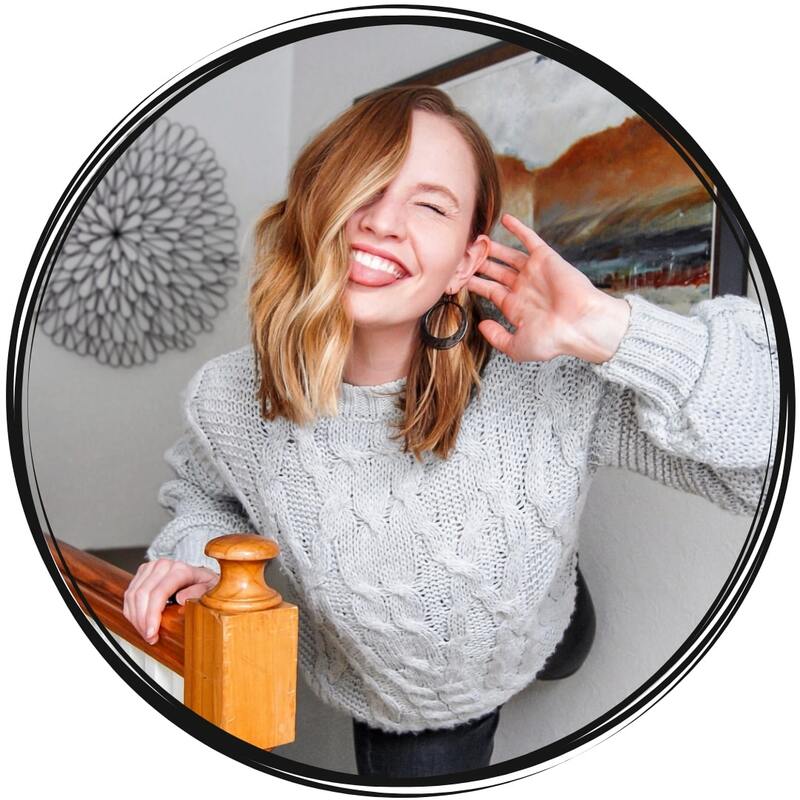 Once you are finally ready to blast the news to the world that you launched a free email course, scream it from the rooftops to the social media world! Post it on your Facebook, Twitter, Instagram, Snapchat, Pinterest, YouTube, Insta stories, Facebook stories, Facebook groups, Twitter chats, and whatever else you have working for you! And if you want to take it a step further, schedule other posts to go out over the next few weeks that promote your new course. WOW, THAT WAS A LOT, WASN’T IT? 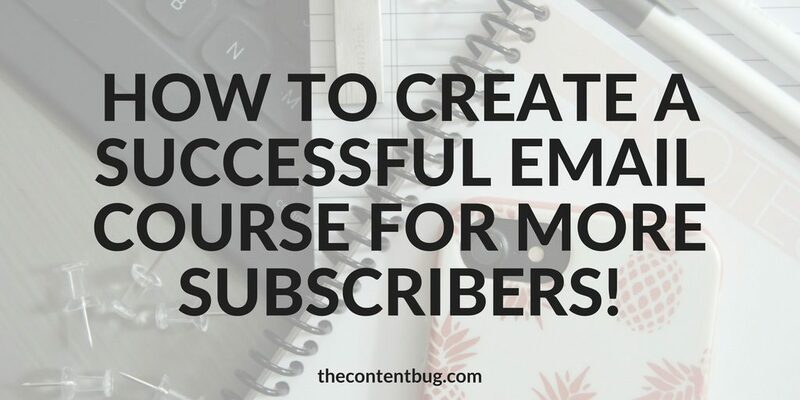 But if you want to grow your email list and create a successful email course for your readers, then this is the guide you need! And beautify & edit your emails. And pick the date of launch! And promote on social media. Let me know how you plan on using your free email course to grow your audience online in the comments below!